The distinctive VFR1200F now offers even greater performance, with significantly more refined torque from the V4 PGM-FI fuel injection system, combined with increased tank capacity, meaning the VFR1200F can now travel more than 186 miles on a single tank of petrol. The adoption of Honda's Traction Control System helps ensure the power is put down optimally, safely and securely, even on surfaces with limited grip. 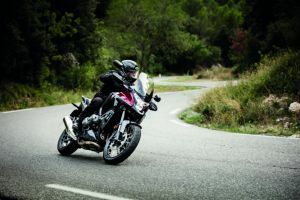 Optional Dual Clutch Transmission - The world's first fully automatic dual clutch transmission for large-displacement motorcycles. 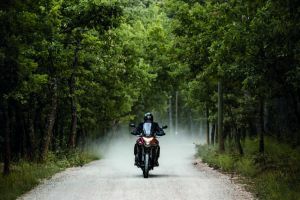 This new transmission offers riders the enjoyment of full sports riding capabilities along with effortless and seamless operation, applied in a powerful, large-displacement machine. At the same time, this transmission's superior efficiency can deliver fuel efficiency equal to or better than a conventional manual transmission. To respond to rider demands through a broad range of conditions and situations, the transmission offers three operating modes: two full-auto modes (D-mode for relaxed, fuel efficient operation and S-mode for sports riding), and a six-speed gear-select mode for full rider control via electronic trigger-shift controls that deliver the same shifting response as a manual transmission. 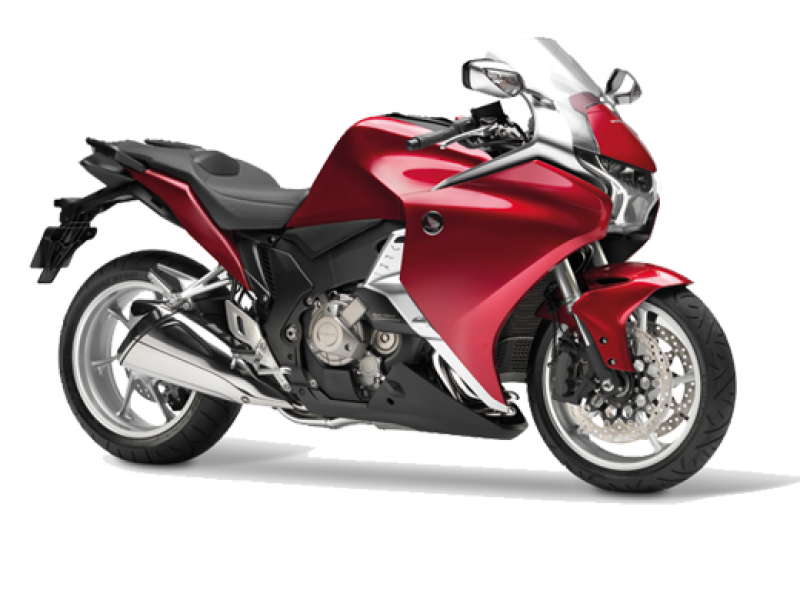 Also availble with DCT for stress free riding from £13,599. Type Front 43mm cartridge-type telescopic fork with stepless preload adjustment, 120mm axle travel. 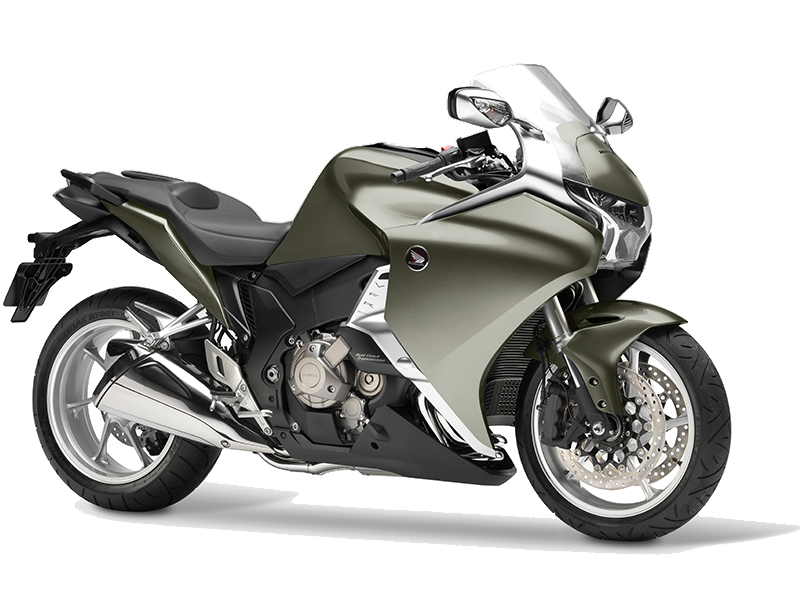 VPL Terms and Conditions: New VFR1200FA (all variants) registrations from 01 April 2017 to 30 June 2017. Subject to model and colour availability. Representative Example based on 5.9% VPL; Offers applicable at participating dealers and are at the promoter's absolute discretion. Indemnities may be required in certain circumstances. Finance is only available to persons aged 18 or over, subject to status. All figures are correct at time of publication but may be subject to change. Honda Franchise Dealers are credit brokers, not lenders. Credit provided by Honda Finance Europe Plc. Cain Road, Bracknell, Berkshire RG12 1HL. Honda Financial Services is a trading name of Honda Finance Europe Plc. a company registered at Companies House No 03289418. Honda Finance Europe Plc. is authorised and regulated by the Financial Conduct Authority, Financial Services Register number 312541. 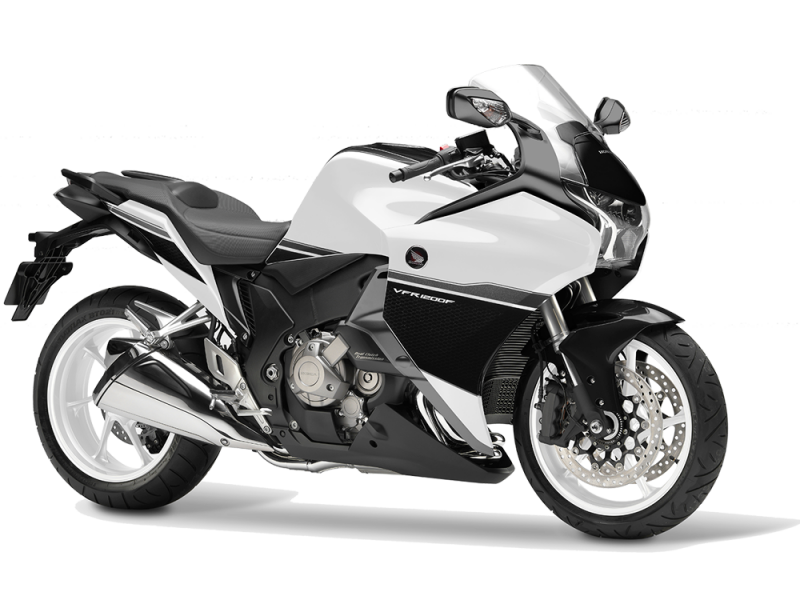 PCP Terms and Conditions: New retail VFR1200F (all variants) registrations from 01 April 2017 to 30 June 2017. Subject to model and colour availability. Offers applicable at participating dealers and are at the promoter's absolute discretion. Representative example based on 3 years 5.9% PCP. Excess mileage rate applies. Final payment includes £10 option to purchase fee. You do not have to pay the Final Payment if you return the bike at the end of the agreement and you have paid all other amounts due, the bike is in good condition and has been serviced in accordance with the Honda service book and the maximum annual mileage of 4,000 has not been exceeded. Excess mileage rate applies should this be exceeded. Indemnities may be required in certain circumstances. Finance is only available to persons aged 18 or over, subject to status. All figures are correct at time of publication but may be subject to change. Honda Franchise Dealers are credit brokers, not lenders. Credit provided by Honda Finance Europe Plc. Cain Road, Bracknell, Berkshire RG12 1HL. Honda Financial Services is a trading name of Honda Finance Europe Plc. a company registered at Companies House No 03289418. Honda Finance Europe plc is authorised and regulated by the Financial Conduct Authority, Financial Services Register number 312541.